I really feel this book doesn’t get enough love. 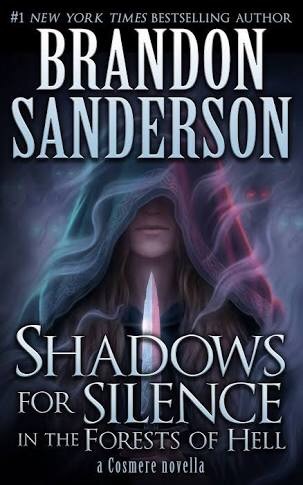 This is definitely one of my favourite Sanderson Novellas, I honestly loved everything about it, the plot was very cool and different from what Sanderson normally does. It was a lot darker and was actually kinda spooky. I found the concept extremely unique and different, my mind was blown to read Khriss’s notes on what the Shades are, once again Sanderson does it again, I’m in complete awe of BS, it’s getting to the point where I’m fanatical about his stuff and I feel annoyed if someone doesn’t like his books. How does he come up with these awesome books? Clearly because his a genius and the greatest author to have ever lived, yeah that’s right, I went there. 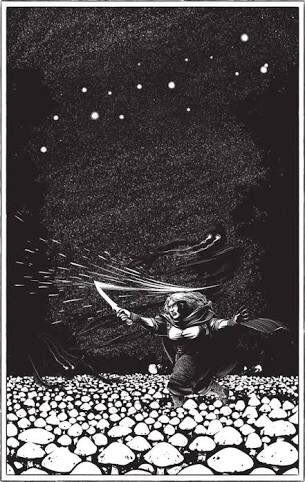 Picture from Tor hardcover edition of Arcanum Unbounded. The world building was so cool it is basically about a shard world called Threnody and there is a forest which is like hell (so awesome I know). We follow our Main character Silence, she is a middle aged mother who is also a bounty hunter and she’s a total badass. Silence owns a waystop near the forest, she sees a criminal with a bounty in her waystop, so she follows them into the forest. But the forest is hectic because within it lives the Shades. My only compliant is it was far too short! I wanna know more about this world and could have read a whole novel on Silence because I enjoyed her POV so much. I’m almost there with you, he really feels like the greatest out there. Maybe Gaiman, maybe not. But the sheer brilliance of the worlds and characters Sanderson crafts is incredible. So great that I was convinced that the system of investiture and magic he has created just appeals to my scientific bent and that he couldnt possibly be that great. Then came this novella and it just made me realise all the reasons why I love Sanderson’s work. Its not the magical systems or the worldbuilduing or the characters or the cliffhangers or the feels. Its all of them.